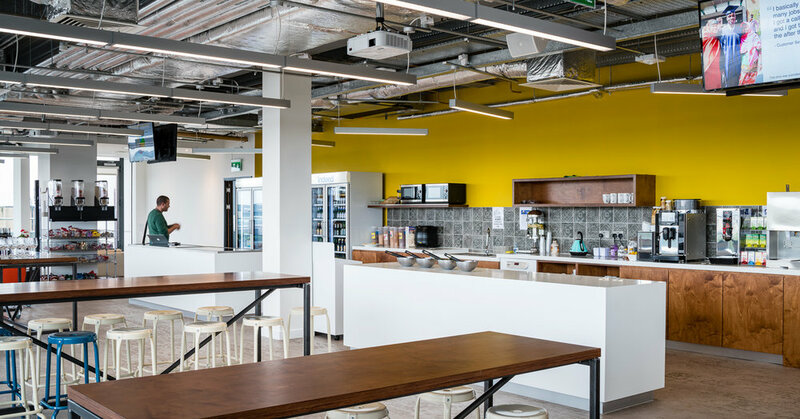 The EMEA headquarters office for Indeed at 124-127 St Stephen's Green consists of 70,000sqft over five floors, with open plan offices, meeting rooms, canteen, auditorium, training rooms and terraces for over 700 staff. The sixth floor is dedicated as an amenity floor for all staff. The design is open, bright and colourful but is most certainly an adult workspace rather than a child-like escape or playground. 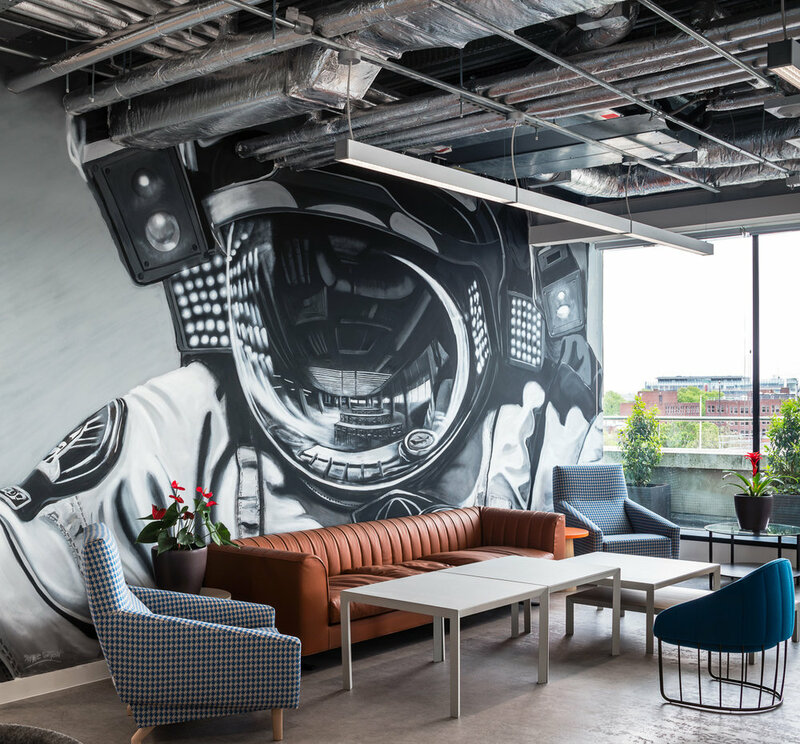 Existing ceilings were retained in open plan work areas for acoustic quality and removed in more casual spaces. Washed plywood was used in all custom joinery elements for it's warmth and it's robust character. Custom graphics were developed for each floor. As Indeed is a jobs and recruitment company, designs were developed such as the Period Table of Jobs ,which assigns jobs to the original symbol for each chemical element. Other floors reference IT cliches such as "Did you turn it off..? and back on again?" for the walls behind the IT help desk. The design also sought to sustainably re-use some elements from the previous fit-out. These dated oak frames, doors and glazed screens were repainted in black for a clean and contemporary finish. Glazed elements in new meeting rooms were contrasted in anodised aluminium framing.